A New York-based equity analyst with over 20 years experience, Chuck Grom focuses primarily on large-scale department store and supermarket stocks such as Costco, Wal-Mart, and Macy's. Having covered retail stocks since 2005 as a lead analyst for J.P. Morgan, Chuck Grom has become a feature market commentator on CNBC and has also made appearances on CNN. His expertise has also been utilized for stories featured in Bloomberg News and The Wall Street Journal. Chuck Grom currently works as managing director for Gordon Haskett Research Advisors, a position he assumed in February 2017. He held similar positions with highly-regarded firms in New York such as CRT Sterne Agee, Deutsche Bank, and J.P. Morgan. While with J.P. Morgan, he and his research team earned several accolades for their work, including being named runner-up in the Supermarket Sector Awards by Institutional Investor Magazine. He also received Best on the Street recognition from The Wall Street Journal in 2010. 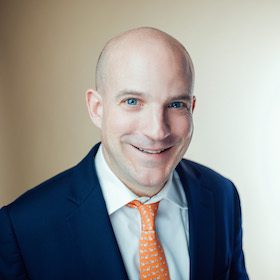 An Economics and Accounting graduate of Holy Cross College, Chuck Grom began his career as a staff accountant for Roseland, New Jersey's Arthur Andersen LLP. He achieved Chartered Financial Analyst certification in 2002 while working as an equity research associate for Salomon Smith Barney.